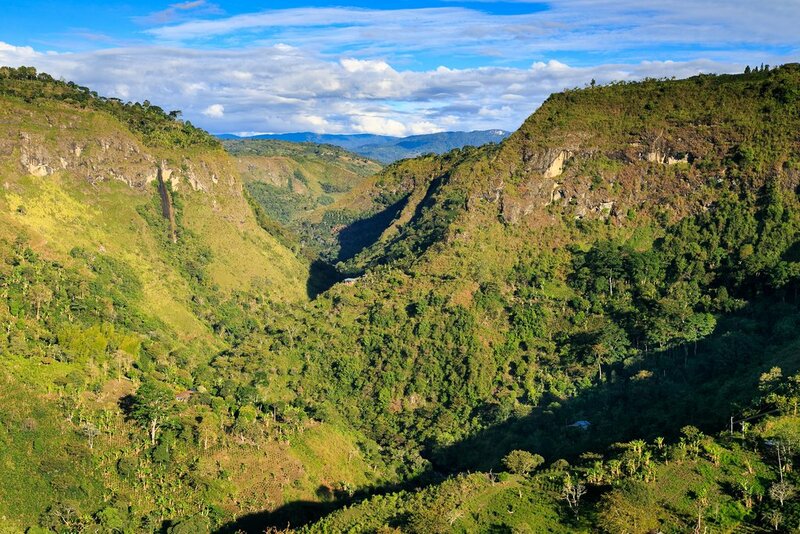 Coffee tasting tours and visits to coffee farms rank high in any visit to this region. 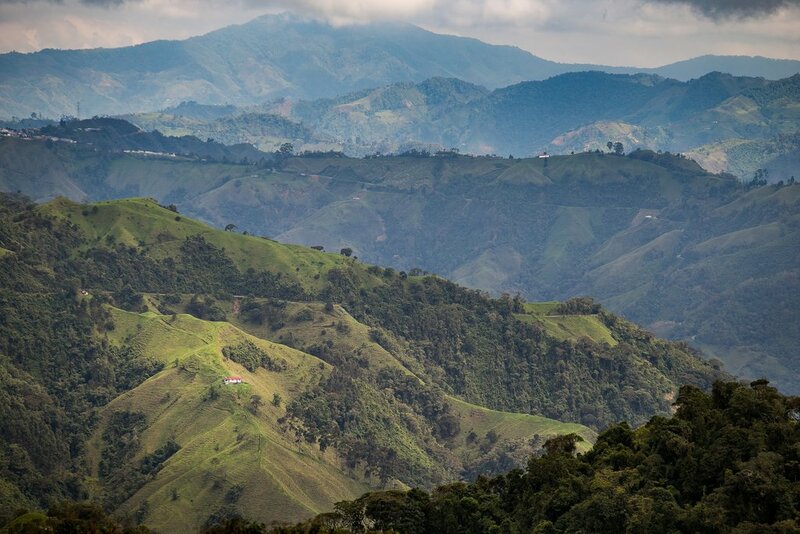 But Colombia's Coffee Region also offers a number of exciting activities for outdoor enthusiasts, including hiking, horse riding, and mountain biking. When it's time to slow down you can relax in thermal baths. This list highlights the best things to do in the caffeine capital of Colombia. After you've toured a coffee farm or two, you may want to explore the other activities available in the region. In addition to the many towns and cities to visit, there are opportunities to participate in a number of activities, such as backcountry hiking or horse riding. Take advantage of the rolling hills for some good biking excursions or just sit back and relax in some thermal baths. Our Ultimate Guide to the Coffee Country covers getting around, finding accommodation and planning your trip. Colombia has been growing arabica coffee since the early 18th century and today is the world's third-largest coffee exporter after Brazil and Vietnam. The beans are handpicked and harvested twice a year. After picking, the fruit around the bean is removed and the beans are dried. A number of farms in the region have tours that show the picking and production process. There are also opportunities to taste the coffee and buy some to bring home. 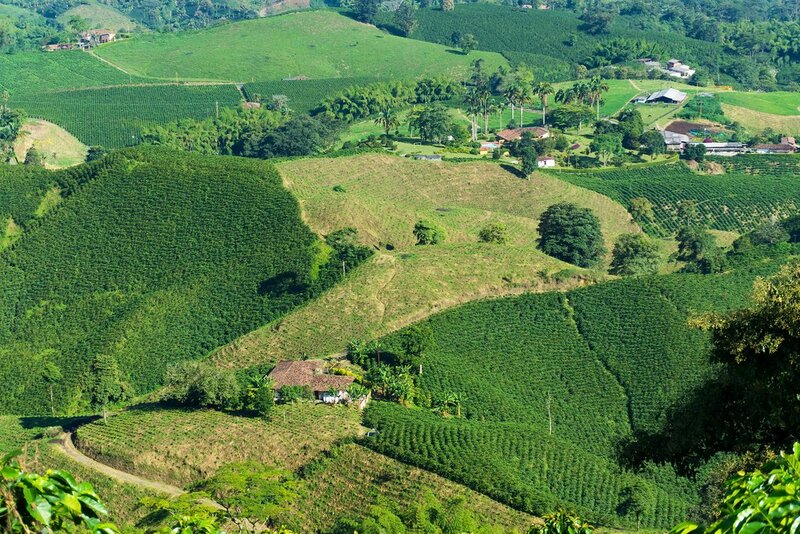 For around Manizales, you can check out the coffee farms of Hacienda Venecia and Hacienda Guayabal. Near Armenia, you can visit Recuca, which allows visitors to harvest their own beans (while wearing traditional clothing). For near Salento, we recommend checking out El Ocaso, and for near Pereira, Don Manolo Coffee Farm. The Parque Nacional Nevado del Ruiz, a hikers paradise, can be entered from different directions, including Manizales, Santa Rosa de Cabal, Pereira, and Salento. There have been restrictions on entry from the Manizales road so check conditions before you set off. This national park offers stunning vistas of soaring peaks and cloud forests, the highest peak in the area is El Ruiz at 5325m. Some peaks in the area require multiple days to reach the summit including Nevada de Santa Isabel (4965m) and Nevada del Tolima (5215m). Tour operators in the area can help organize guides and climbing equipment. 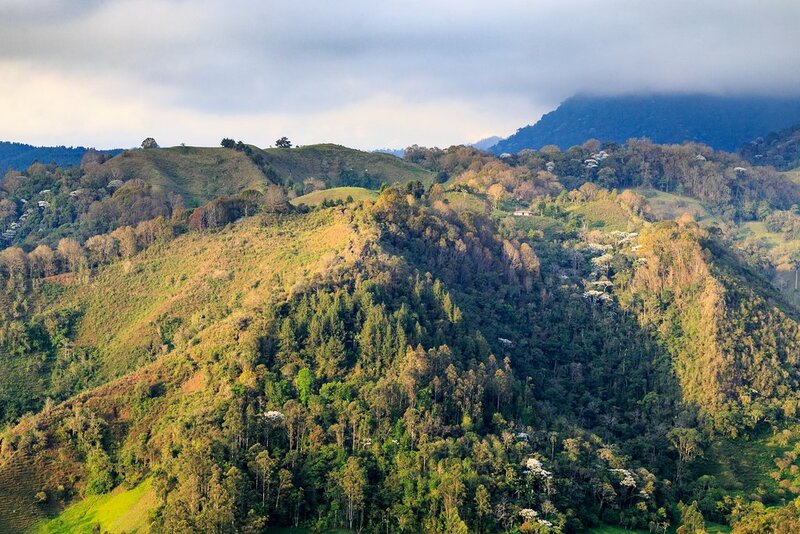 The Valle Cocora is also a top walking area and is great for beginning hikers - a good loop walk (5 hours) leads to Finca Acaime, a farm, and shelter for hummingbirds. Salento is the most popular destination for horseback riding as visitors can rent a horse and ride up the Valle de Cocora. 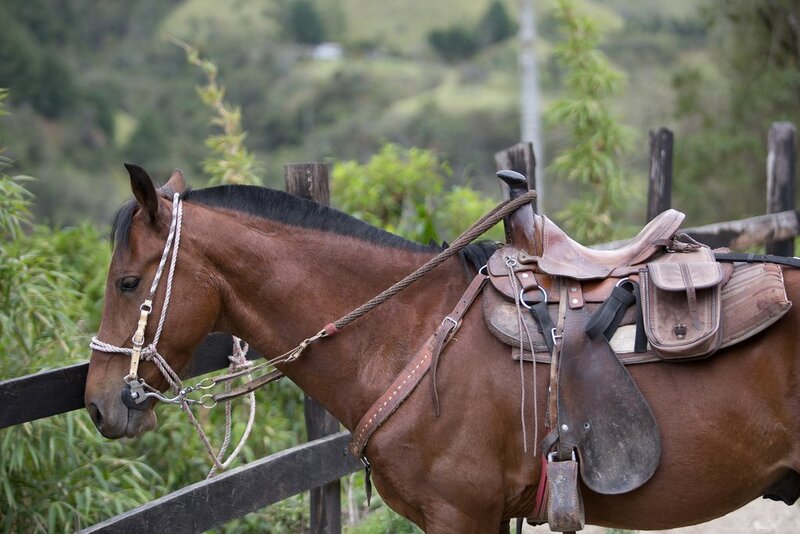 In Pereira, you can visit a riding stable and take a lesson on the Paso Fino Colombiano where you can experience the fiery temperament and incredibly smooth gaits of this special breed of horse. The best bike route is to head out of Pereira on via La Florida until you get to the community of La Florida. The trail offers excellent river scenery and forest views. The backroads near small towns such as Salento and Filandia also after excellent scope for half or full day biking tours. Tour operators can organize guided bike trips. Rappelling tours will get you out in nature around creeks and waterfalls where you will use rope systems to descend into jungle canyons. A great tour for athletic travelers who like to get physical but who may not practice the actual discipline of climbing. Canyoning is possible on the Rio Barbas, close to Barbas Bremens Regional Park, about 23 km from Pereira and 30 km from Armenia. Hot springs at Termales de Santa Rosa. Termales El Otoño and Termales Tierra Viva, both located near Manizales. 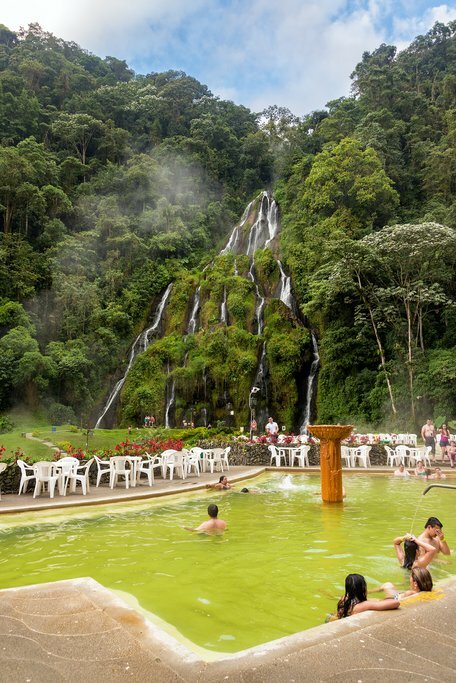 The spectacular Termales de Santa Rosa, 9km east of Santa Rosa de Cabal, which features pools at the base of a waterfall. Termales San Vicente are located 18km east of Santa Rosa de Cabal.